A comfortable, hydrating, full-coverage lipstick. Hydrating Long Lasting Lipstick provides durable hydration and protection for your lips. This comfortable, long-lasting lipstick is available in a large range of colors with different effects: pearly, satiny, and iridescent. Its glide-on texture covers and won't bleed. The beveled tip allows for clean, precise application. 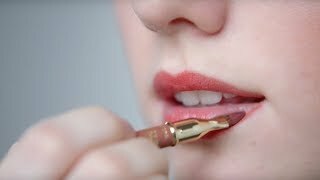 Apply the lipstick directly to lips or with a brush. For a perfect finish, first outline the contour of the lips with a lip pencil. For more volume, apply a touch of gloss to the center of the lip pout.